Hello my wonder friends!!! How have you been? Last year, after my failed attempt to conquer Nepal’s Annapurna Circuit, I set myself the goal of getting back in shape and do more multi day hikes in 2018. The first one of the year? 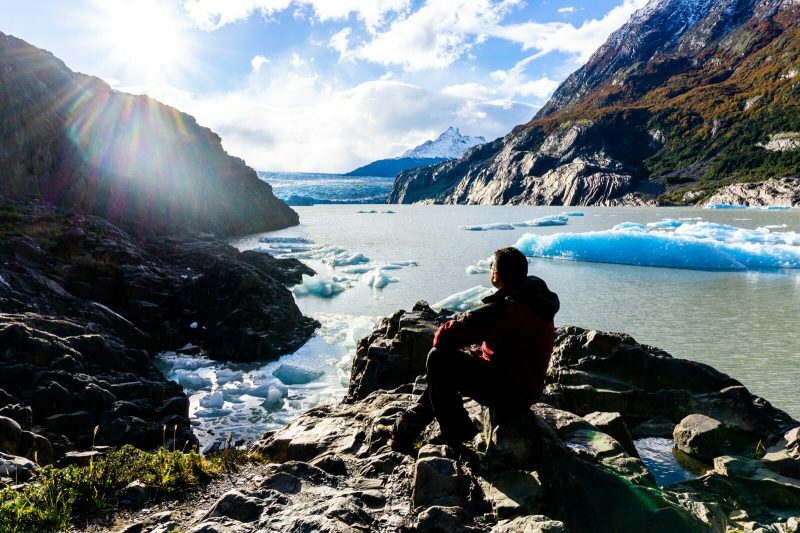 The Epic Torres del Paine W Trek in the Chilean Patagonia. This 4 night, 5 day multi day hike will take you to amazing landscapes right next to tall and majestic mountains of wonders. 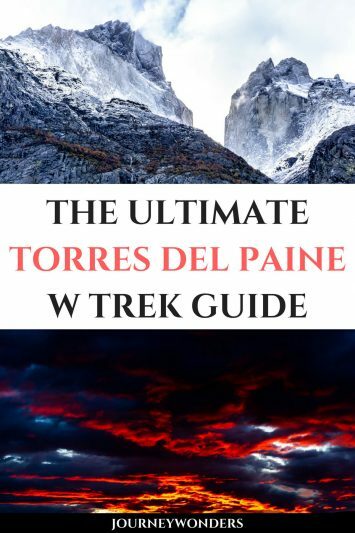 Wanna learn all about Torres del Paine W Trek and how you can also conquer it? I hope you enjoy the following article my wonder friends!!! 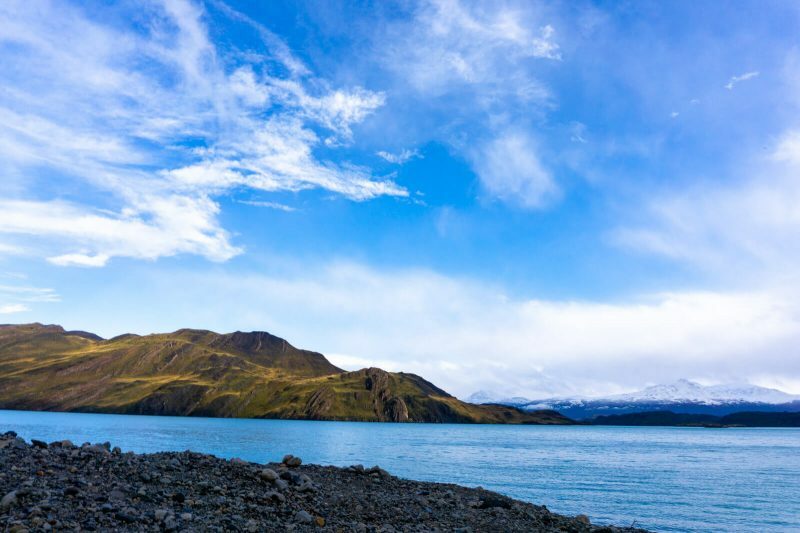 Puerto Natales is the place where all Torres del Paine Treks begin with the more populars being a one day hike to the Base of the Towers, the 5 day W Trek, the 9 day O Trek and the 11 day Q trek (read all about the Torres del Paine O and Q Treks here). For this W Trek, I partnered up with ChileTour Patagonia who took care of all of the logistics and also were kind enough to host me at their charming guest house in Puerto Natales. Plus, who can forget that awesome salmon welcome dinner with some amazing Chilean wine? 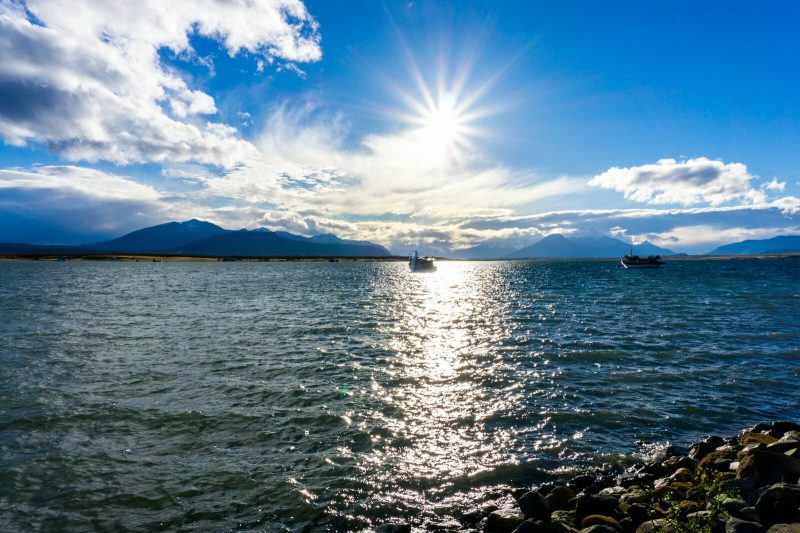 Puerto Natales is objectively beautiful but I would be lying if I told you that there’s many things to do there. 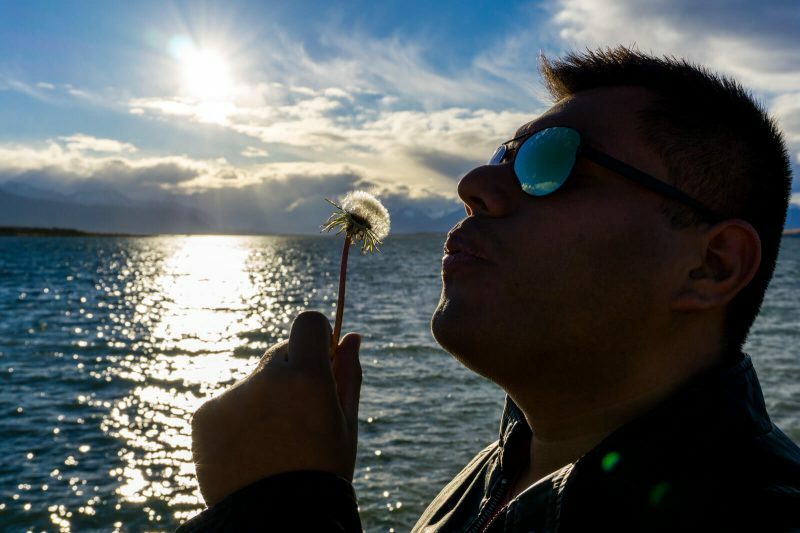 Other than walking by the lake and blowing dandelions like a IG rockstar, there isn’t much to do in Puerto Natales itself. That being said, give yourself one or two days BEFORE the start of your Torres del Paine W Trek in case of airlines delays since reservations at the campsites, hotels and refugees of Torres del Paine are NOT flexible at all so you might end up loosing a LOT of money in case of a delay. Better be safe than sorry my wonder friends! 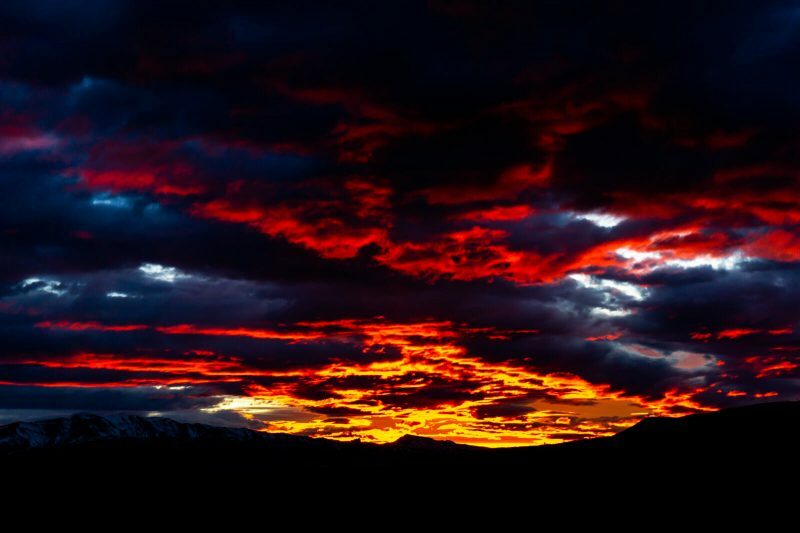 Torres del Paine W Trek Day 1: Puerto Natales to Las Torres AKA Weather Gods Why Do You Hate Me? 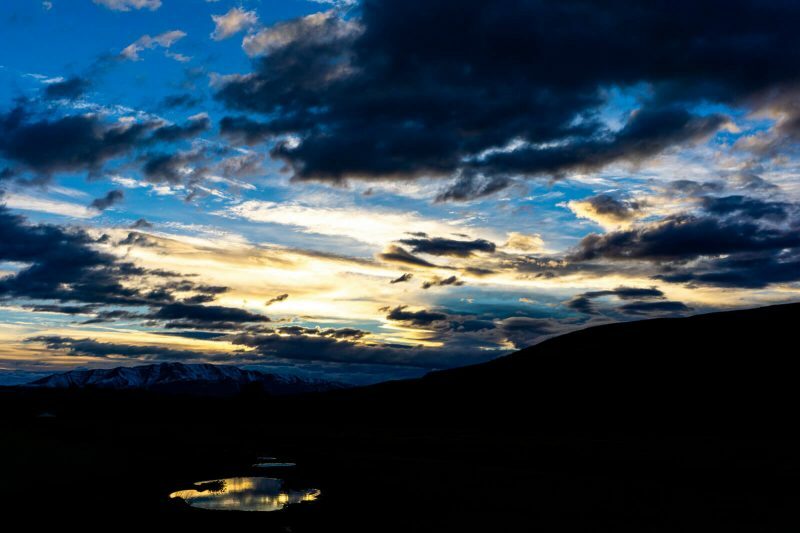 And after a very beautiful first day in Puerto Natales in which my friend Kimmie from Adventures & Sunsets and I took some very cool photos by the lake…bad weather arrived to Patagonia. No, let me rephrase it: really awfully bad weather arrived. “I’ve been working in this park for many years and this is the first time that you can’t even see the big peaks of the mountains.” our trekking guide Luis told us. As you can imagine, my heart broke a little bit when I checked the Windguru weather report that is printed at each refugio: bad weather all week long. 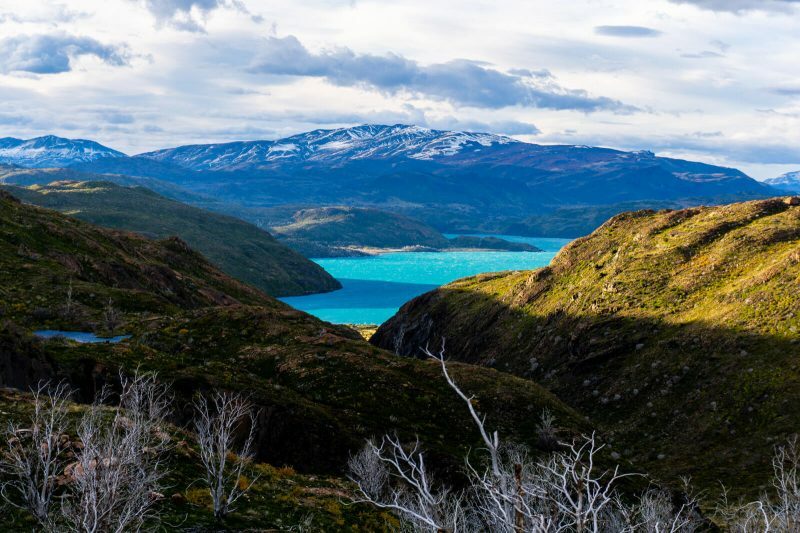 Day 1 of the Torres del Paine W Trek usually involves driving from Puerto Natales to the Torres sector from where you start the 22KM roundtrip hike to the Base of the Towers. However, because of the snow, the pathway was closed off and we were only able to make halfway to Refugio Chileno before having to turn back making the entire day trek a total of 12.3 KM. Torres del Paine W Trek Day 2: Refugio Las Torres to the Domos Frances AKA Mister Sun Can You Please Shine? 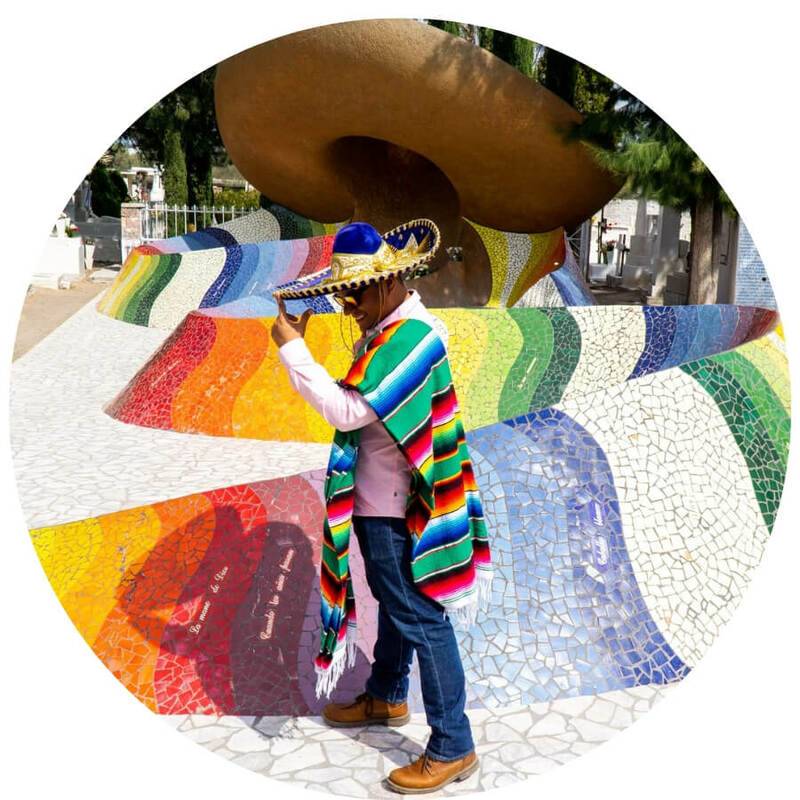 Day 2 of the W Trek involves going from Sector Las Torres to the Domos Frances on a very pleasant and easy scenic walk that passes trough forests mountains and lakes. Sadly, weather wasn’t on our side (again) this day so the next 17.7 KM involved a lot of rain, heavy winds and 0 visibility of the great mountains that allegedly should have been to our right side during the entire trek. But hey, it’s always important to look at the bright side of life uh? Then, as we finally arrived to the uniquely designed Domos Frances, the blue sky appeared even though the sunlight did not. Beggars can’t be choosers uh? Sadly, our joy was really short lived as the blue sky disappeared as fast as it originally arrived leaving us with a deep sadness inside our hearts that could only be filled by the HUGE dinner that awaited us at the Domos. “Tomorrow it will get better, I can feel it” I told myself as I closed my eyes. Day 3 of the W Trek is meant to be the most beautiful and exhausting one as you go to the French Valley, THE best place of the entire W Trek according to our guide Luis. Sadly, heavy snow prevented us from actually getting there so again, our day was cut short and we ended up doing only 13.6 KM this day. Disappointed, I lost all hope and started to walk slower than ever, falling behind from the rest of my fellow hikers. Then…I sensed a ray of sunlight on my face. And as I turned to my right I saw them for the first time: the mountains of wonders were greeting me from high above. 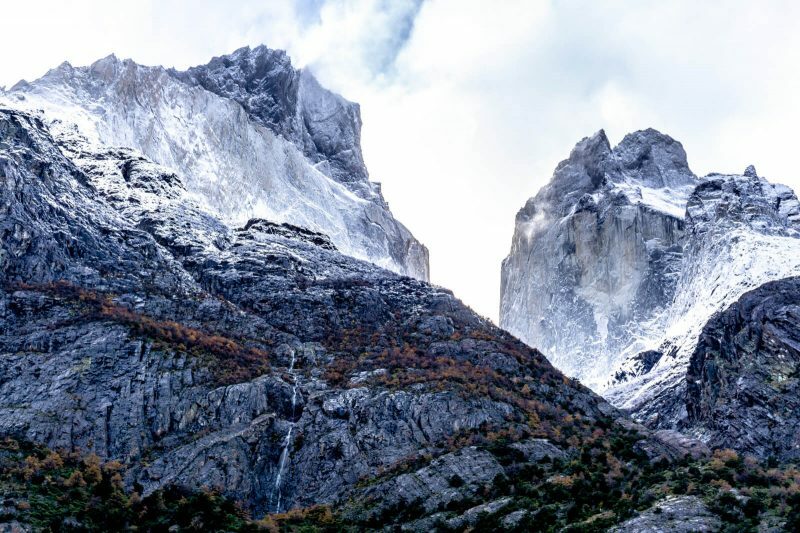 Since we were already way ahead and the day was coming to a close, coming back to the French Valley wasn’t an option, however, the rest of the hike to the Paine Grande Refugio and Camping was a truly remarkable one. We finally could see the mountains even if the sun was still hiding behind the clouds!!! Not ideal but it was way better than what we’ve experienced so far. 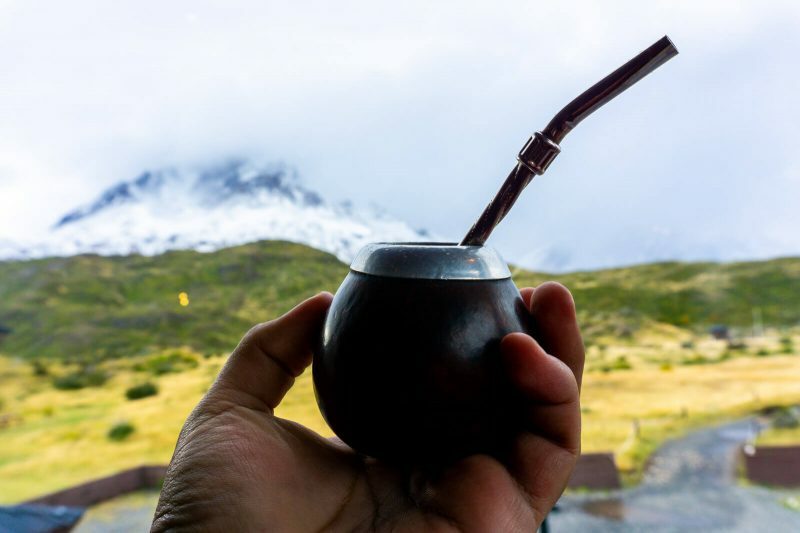 With renewed energies, I drank a mate (a classical bitter drink of Argentina and Chile) to celebrate our victory over the weather and I went to bed ready for what was shaping to be THE best day ever of the Torres del Paine W Trek. Torres del Paine W Trek Day 4: Paine Grande to Grey Glacier AKA YES!!!! SUNLIGHT!!!! FINALLY!!! On the fourth day of the W Trek you will head from Paine Grande to the glorious Glacier Grey (16.6 KM) and even though the morning started beautifully with glimpses of the sun, the cruel reality that awaited us was more clouds (as usual) and a really heavy wind that would have blown me away if it wasn’t so heavy. The viewpoints, however, were super impressive even with the bad weather which keep encouraging me to keep going and going. After all, when Mother Nature throws you a challenge, you take it and you conquer it no if no buts…and the reward? The reward was this majestic up close view of the Glacier Grey when the sun finally appeared from between the clouds to greet me. “You’ve made it Raphael, come claim your prize”. And while some of my fellow hikers decided to keep going to the hanging bridges to see the Glacier Grey from the top, I decided to do the entire opposite and hike down to the lake in order to see the Glacier Grey from up close. 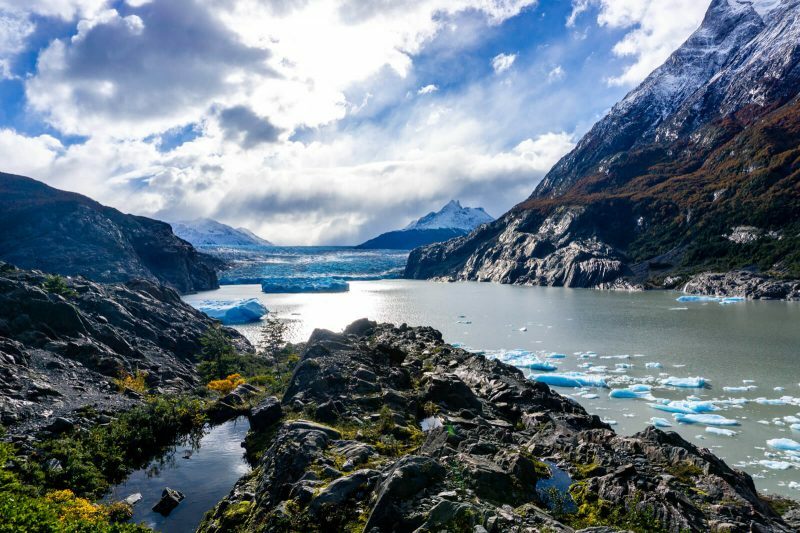 Have you ever dreamed of drinking whiskey on the rocks with freshly cut glacier ice? Trust me when I say that remains one of my highlights of the year so far!!! Why be a simple player when you can be a player of wonders instead? On my last day of the Torres del Paine W Trek, I had to wake up really early in order to hike the 13.3 KM back in Paine Grande and be able to catch the first ferry + bus back to Puerto Natales. 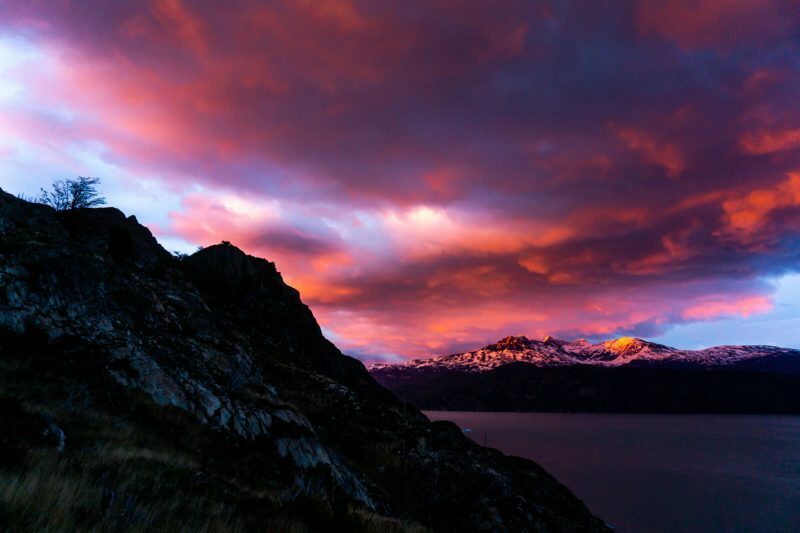 The weather was THE best one of the entire week and as I climbed the mountain pass that connects the Glacier Grey with Paine Grande I was witness to a beautiful pink sunset over the mountains and lakes that were my companions during this journey. Who cares if I miss the first ferry? No need for rushing. I just stopped and contemplated the beauty of Mother Nature. This was my moment. This was my trek. This was my dream. Luckily, I made it to the first ferry even with a few minutes to spare to take even more photos!!! It was hard to believe how different Paine Grande looked with the rays of the sun!!! And yes, the ferry ride from Paine Grande to Pudeto was EPIC!!! You could see the Paine Grande mountain as well as the Cuernos (Horns) with such a clear visibility that it really made me wish I could do the entire W Trek again!!! From Pudeto, we waited a couple of minutes for the bus that would take us back to Puerto Natales. 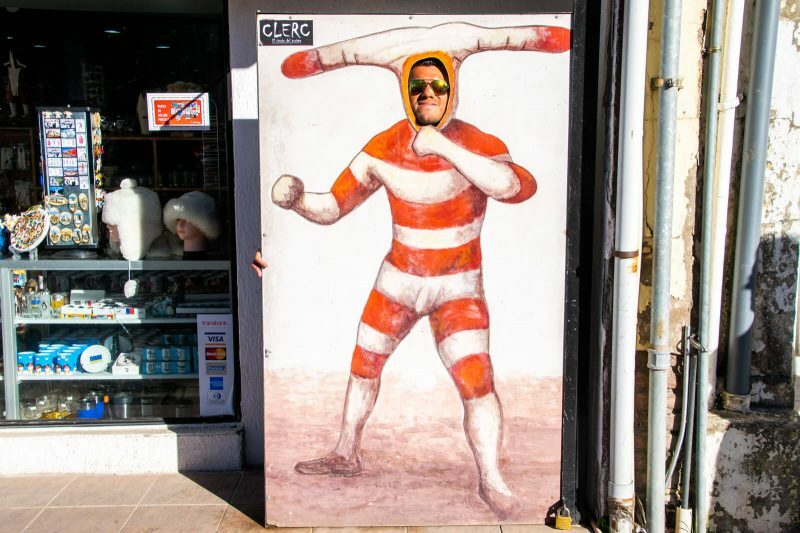 Little did we know that the owner of ChileTour Patagonia, the friendly Ricci, had a surprise in store for us. Torres del Paine W Trek Day 6: A Return to the Torres del Paine Park AKA Can We Do the W Trek Again? “Don’t feel sad that you missed the Base of the Towers, you can try it again tomorrow. Free of charge” Ricci told Kimmie, Nick (who missed the entire first Day because of the LATAM strike) and I. Now THAT’S what I call a really good costumer service. We woke up at 4:30 am in order to be the first ones to arrive to the Torres del Paine Park (it’s a 90-120 minute ride AT LEAST) from where we started our second attempt to reach the Base of the Towers. My body aching from the previous days, I sat down mid-way to witness THE most beautiful sunrise of the Chilean Patagonian on and then I had a harsh revelation: my legs can’t go on. After notifying Kimmie and Nick about my decision not to go on for today, I went back to the beginning of the hike with a big smile on my face: I saw what I wanted to see, I experienced what I wanted to experience, I pushed my body to its limits and I was happy with the end results. 80.7 KM in 6 days might not seem much to many of you but for this former asthmatic chubby boy, this was already a big accomplishment. The cherry on top of the cake? Our driver Rodrigo was friendly enough to drive me around outside the Torres del Paine park to see some amazing viewpoints!!! 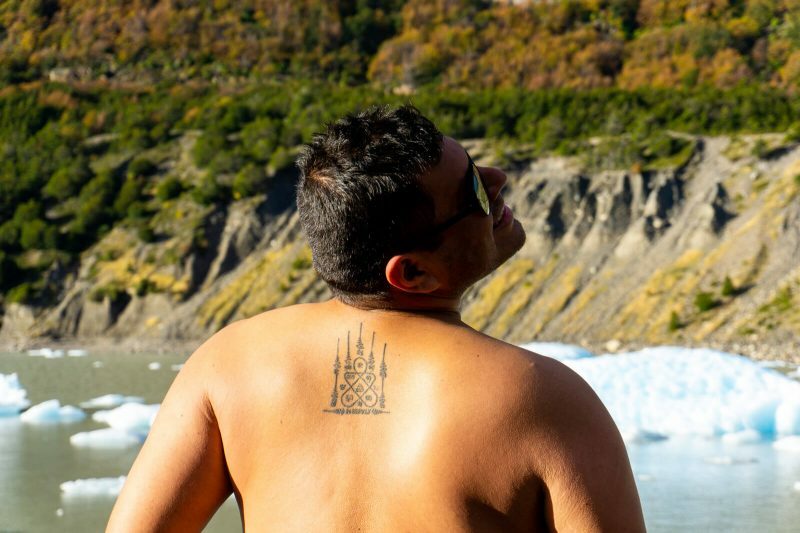 I don’t know about you but the view of the Torres del Paine from the Laguna Amarga sure can compete from the one at the Base of the Towers don’t you think? Thanks Ricci, Rodrigo and everyone at ChileTour Patagonia for this wonderful week! 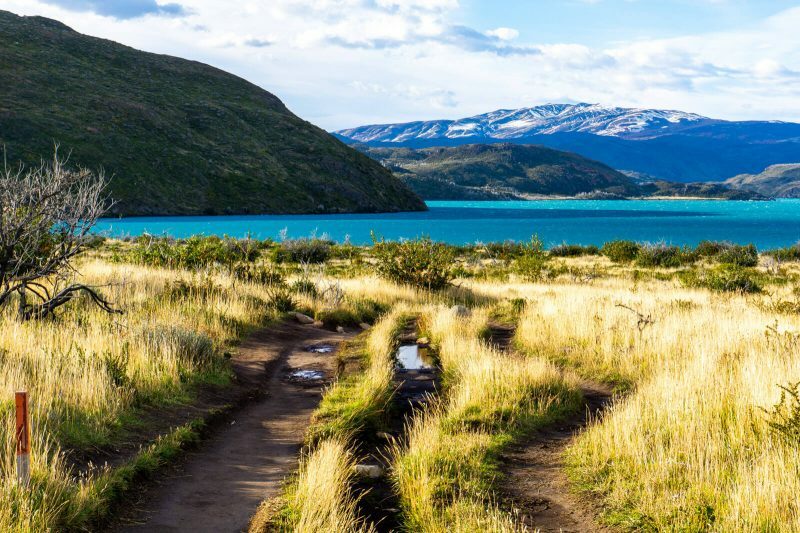 When is the best season to visit Torres del Paine? Spring, Summer, Autumn or Winter? The short answer is all. 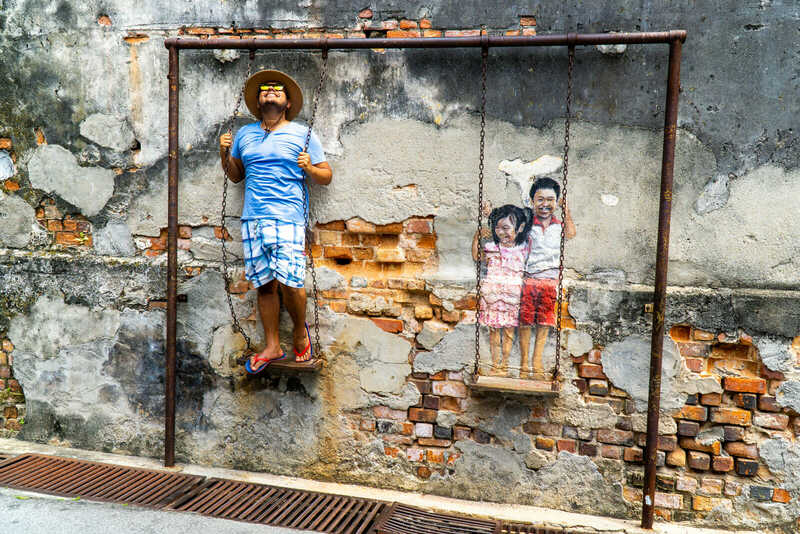 The long answer is that it depends on what your interests are in terms of photography, how much money you’re willing to spend, how flexible you are with time and more importantly: if you prefer having the park to yourself or if you prefer to share it with thousands of daily visitors. Summer is by far the preferred season because of long sunlight hours which allows people to trek for more hours every day and because temperature wise it is really pleasant. 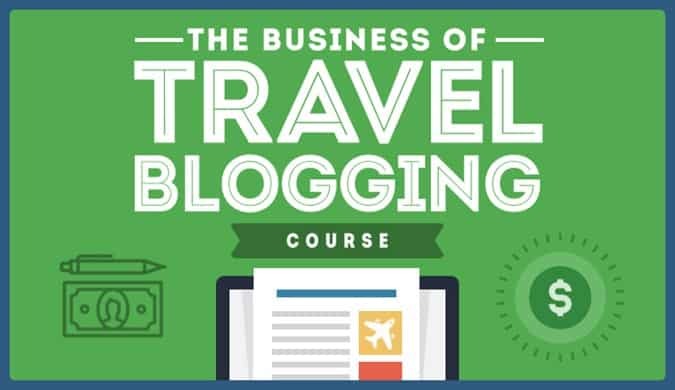 However, it is also THE most requested season for this very same reason so be prepared to book in advance and share the trail with thousands of people daily. Autumn and Spring are similar in the sense that they’re less popular than Summer but not so deserted as Winter: you can book refugees and campsites last minute (which allows for a more flexible schedule) and even though it is way colder than in Summer there are less people in the park so you can enjoy it more. Winter, on the other hand is VERY deserted BUT it is also THE most expensive since most refugees are closed off and you are required to hire a guide for every single day of the W Trek for safety reasons which will increase the prices A LOT. 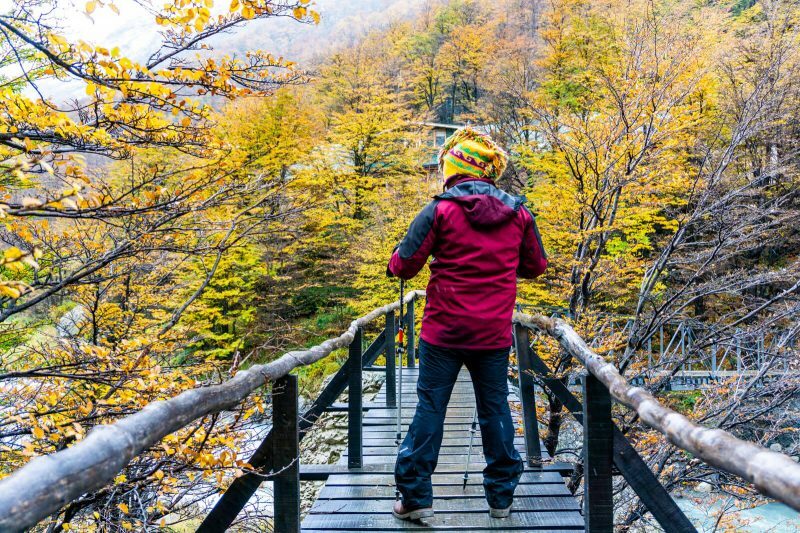 The foliage during Winter is also not as impressive but on the positive side you might be the only human trekking Torres del Paine. Me? I would definitely recommend Autumn, it’s so pretty!!!! “Show me your gear” expert mountain warrior Chelsey of Finding the North asked me. “You’re looking at it” I replied, pointing at my North Fake rain jacket that I bought in Nepal for 10 USD, my leather boots and my pair of blue jeans. Rumor has it that you could hear that epic facepalm that Chelsey made from miles and miles. Luckily, she had some spare gear that she was kind enough to let me borrow: winter gloves, trekking poles, winter thermal socks, rain proof hiking trousers, head lamps and even an extra sleeping bag. I don’t joke when I say that I would be a frozen popsicle by now if it wasn’t for her help. Thanks Chelsey!!! 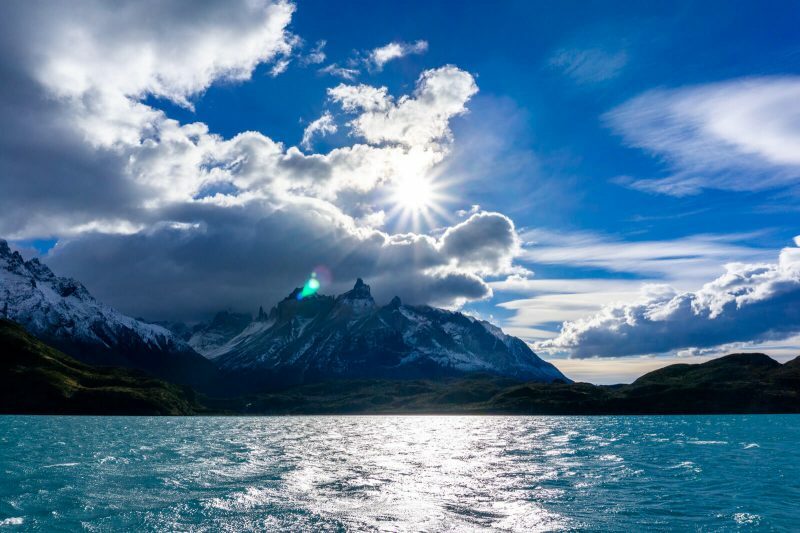 Sure, your weather app MIGHT tell you that Torres del Paine isn’t THAT cold but the truth is that the heavy winds and rain make the thermal sensation extremely cold so you better be prepared in order to have a pleasant Torres del Paine W Trek. Other than the items mentioned above, you might want to invest in some sturdy hiking shoes that are water proof (you will walk over puddles of water A LOT) plus thermal layers that will keep you warm no matter what. After all, you don’t want to die half-way trough and become Puma food, right? And speaking about food, you have plenty of options in Torres del Paine depending on how much you’re willing to spend, how much you’re willing to carry and more importantly: how healthy you want to be eating during the W Trek. Option A is to buy all food inside the refugios of the park. All of them offer breakfast, dinner and lunch box for free to those travelers on a full board basis but they can be bought separately by those who didn’t book full board. Prices are REALLY expensive tho. Option B is to carry your own cooking gear and cook at the designated areas (mostly campsites and refugios). Sure, it is inconvenient to carry all of that but you will be saving a LOT of money. Just pack some rice, soup and noodles and you’re all set! Option C is to be cheap but unhealthy and just stock up on non-perishable food for the entire trek: you save money plus you don’t have to carry any cooking gear. Not bad at all uh? Oh, and before you ask: you CANNOT hunt for food at Torres del Paine no matter how tasty those guanacos might look like!!! If you don’t want to buy food, you need to bring your own, no hunting allowed!!! 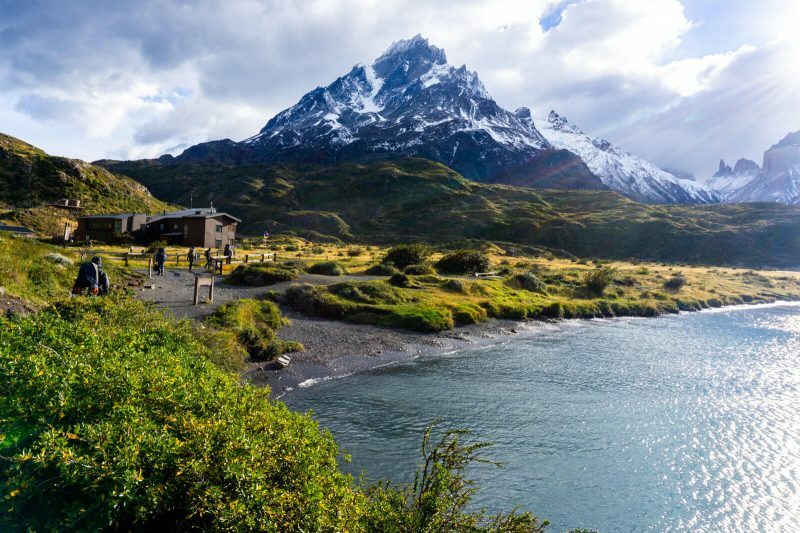 Last but not least, you NEED to keep yourself hydrated but that doesn’t mean carrying a monster size water bottle: you can refill yours at every single campsite and refugio plus at the many streams of water that Torres del Paine National Park has. Just be sure to drink from streams located ABOVE you and not from those located below you (since you would risk drinking water contaminated by the dirty boots of those hikers that came before you). You can read a full Torres del Paine Packing List here. 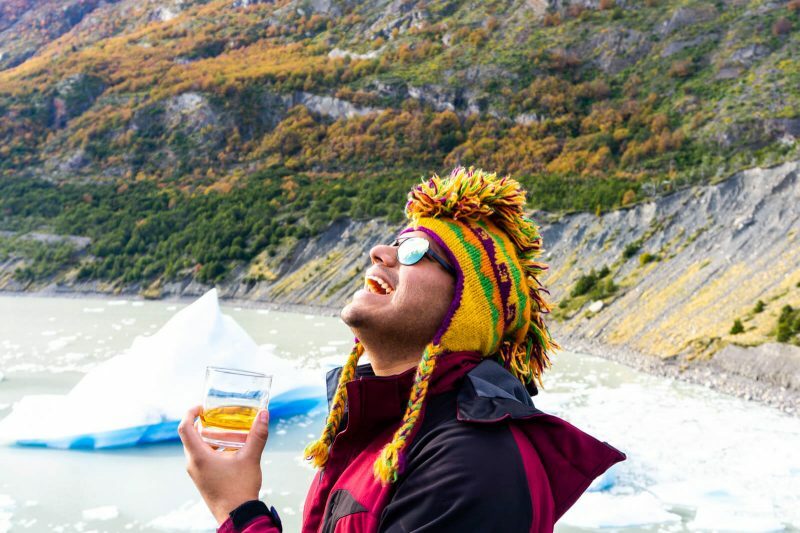 And yes, if you want to drink a glass of wine or a nice cold beer after a long day of hiking, I recommend you to bring your own booze from Puerto Natales: the same bottle of wine you can get from 5 USD at the supermarket will set you back 40 USD inside the Torres del Paine Park. During the W Trek your main two options when it comes to sleeping will be in either a tent or inside a dorm. 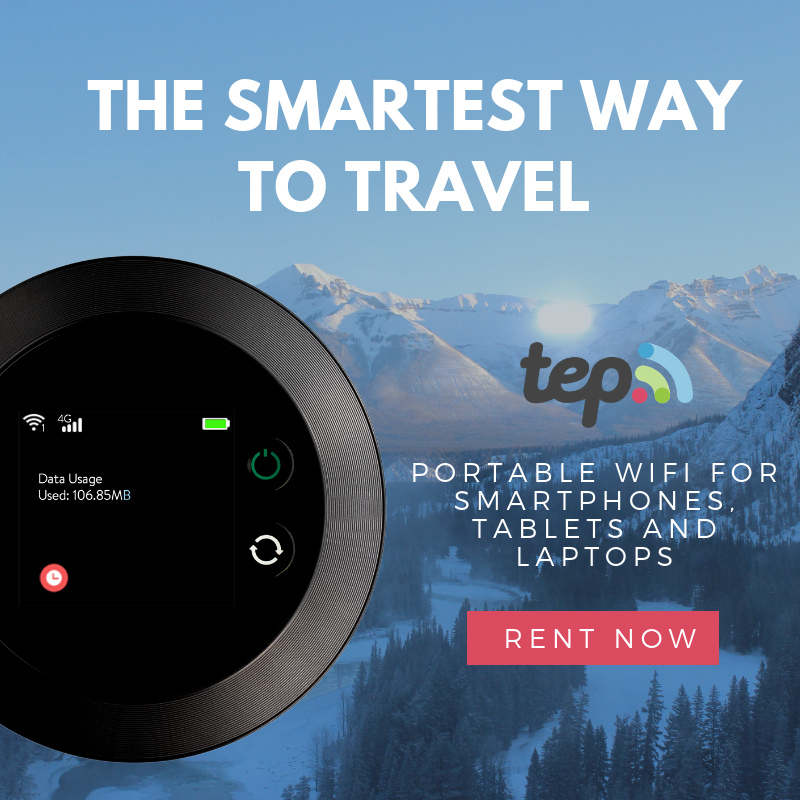 Sure, there are some fancy Hotels located in the Sector Torres such as Eco Camp Patagonia and Hotel Las Torres but they are only good if you plan on doing the eastern part of the W Trek only. For the rest of the W Trek you will have to either book a dorm (with the choice of having a plain bed for you to use your sleeping bag with or a bed with sheets) or a tent (you can either rent the tent space if you bring your own or an already assembled tent). Prices vary depending on season as well as wether you want to be on a full board basis or on a plan without meals. Additionally, there is one FREE campsite on the W Trek called Campamento Italiano (you need to bring your own tent, it’s located right before the French Valley) but you need to book it in advance because otherwise it will be impossible to find space. 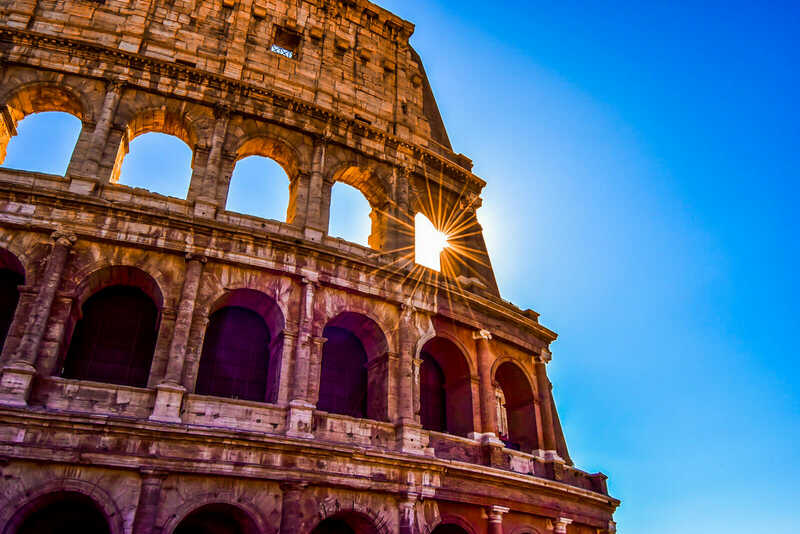 You can book the Campamento Italiano directly at the CONAF site. If you don’t want to break your head with logistics and planning, what I recommend you is to book everything via an agency such as ChileTour Patagonia who were kind enough to sponsor this journey of mine and whose costumer service is THE best I’ve experienced in South America. 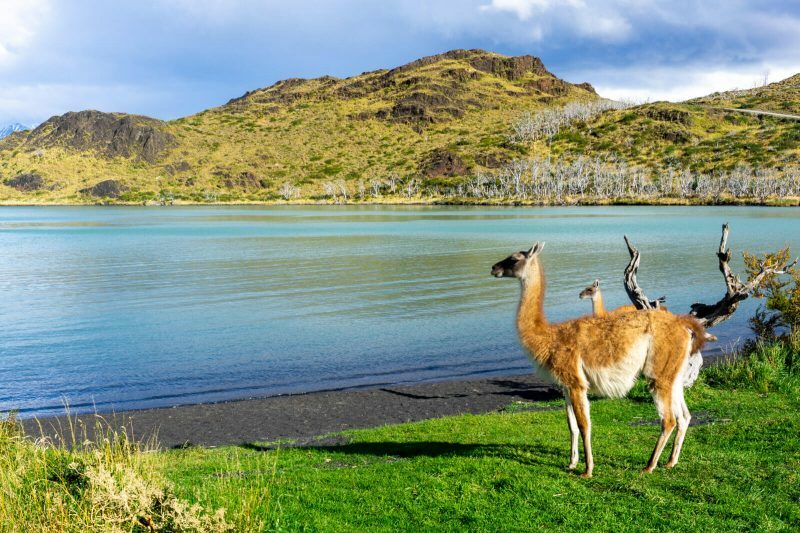 While you can take it slowly and travel by bus from Santiago de Chile to Puerto Natales stopping in many wonderful places such as Pucon or Chiloe Island, those who are short on time will want to fly from Santiago de Chile to Punta Arenas. The flight will take you close to 4 hours (including a possible stop in Puerto Montt to pick more passengers) and if you book it in advance with a low-cost airline such as Sky or Jetsmart it can be as cheap as 40 USD one way. 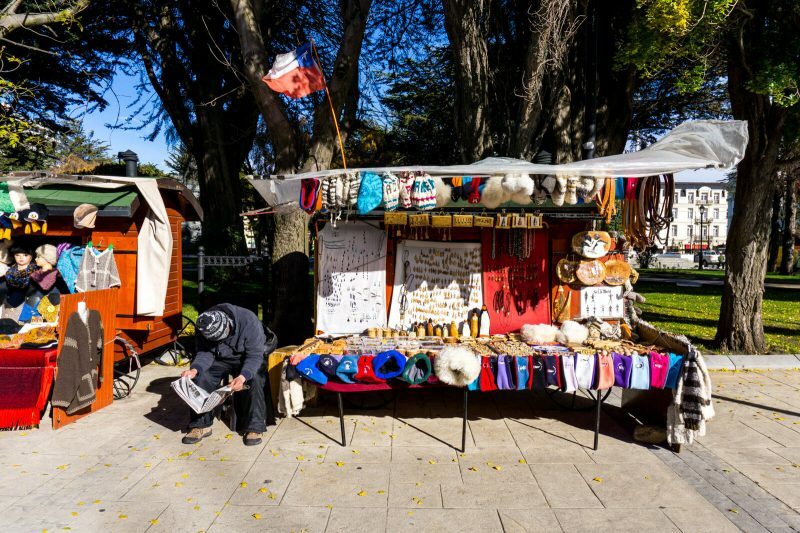 From Punta Arenas, Puerto Natales is just 3 hours away by bus (you should book in advance in high season) although I recommend you to stay at least one or two nights in Punta Arenas to do some shopping for winter gear (check out my ultimate haggling guide) or in my case, an impractical-for-hiking leather jacket. 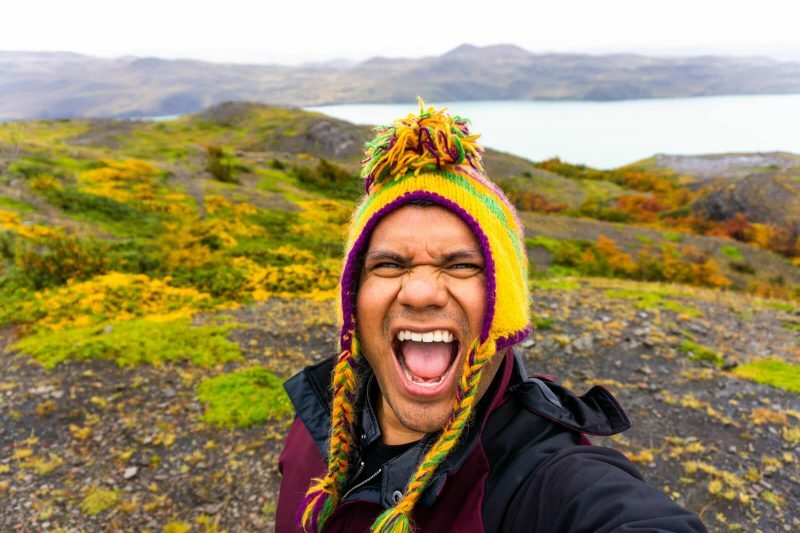 It is also the only place in all of Chilean Patagonia with a cinema so you can understand my happiness when I finally got to watch Avengers Infinity War after one week of avoiding spoilers during the Torres del Paine W Trek. 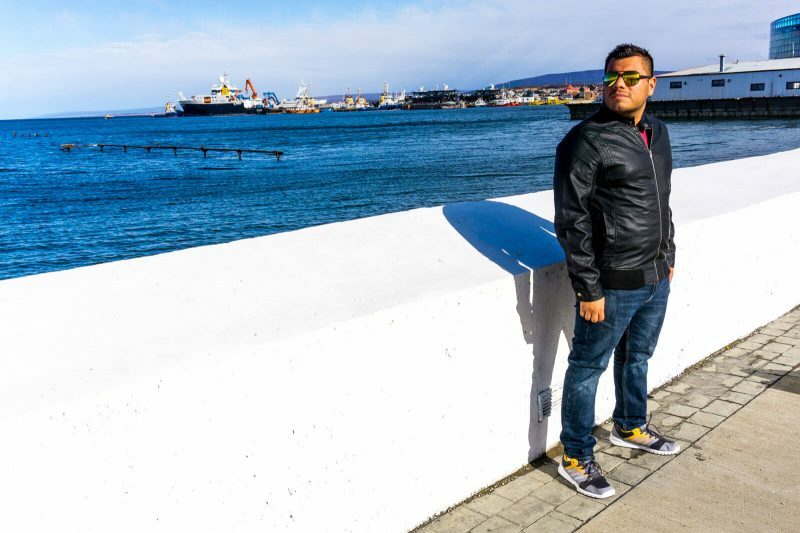 During my most recent visit to Punta Arenas, I was kindly hosted by the Hotel Rey Don Felipe, a wonderful boutique property which was a perfect introduction to Patagonian hospitality and the different way of life of people in the South of the World. How epic is the sunrise from the window of my room my wonder friends? 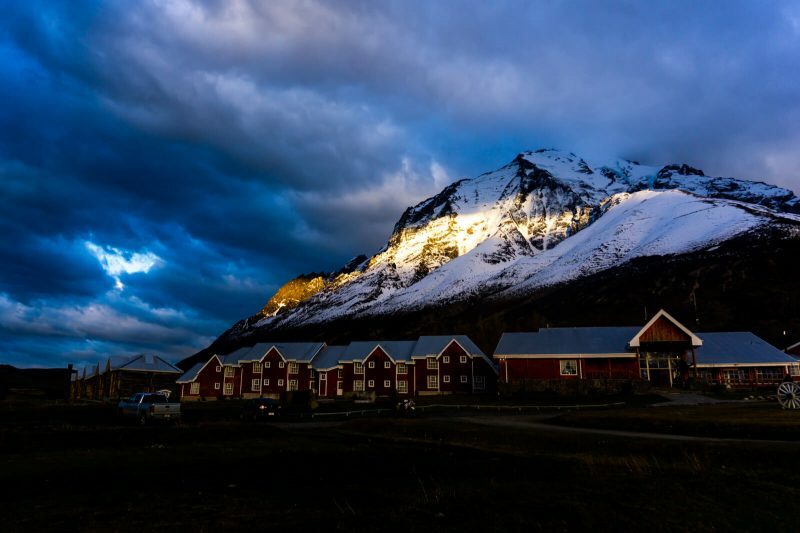 Not a bad place to begin or finish your Patagonian adventure right? 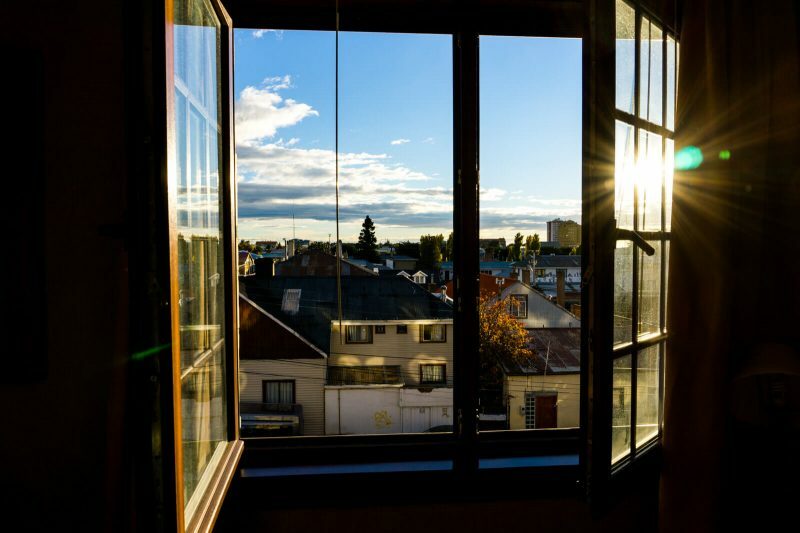 The Hotel Rey Don Felipe is conveniently located in Punta Arenas and has a gym room and a sauna for you to forget about the cold Patagonian weather outside of your window. Plus, did I mention you get a free Calafate Sour drink? 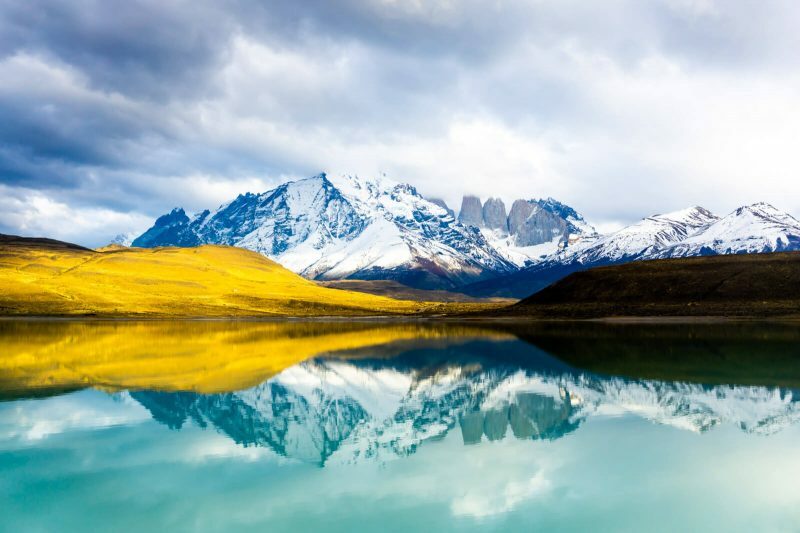 I hope you have enjoyed this article about the Torres del Paine W Trek. Don’t forget to subscribe in order to get more awesome updates and tips straight to your e-mail! 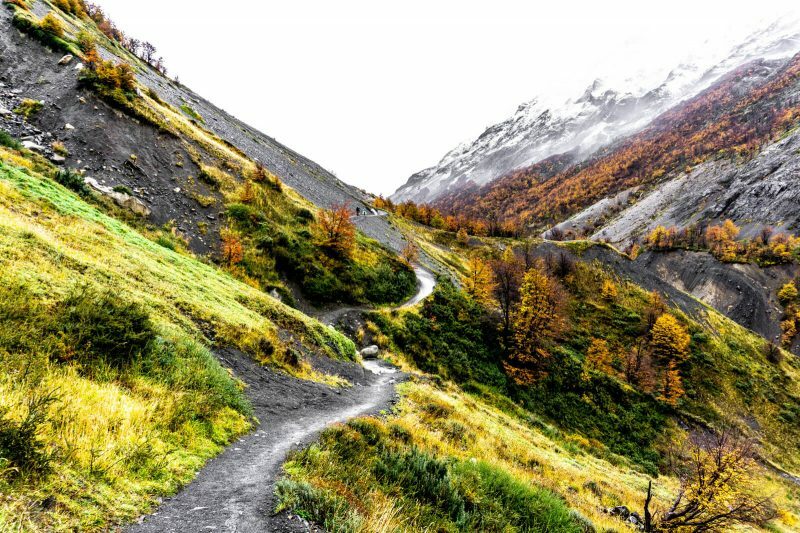 Have you ever done the Torres del Paine W Trek? Would you like to? What are some of your best favorite hikes? Share your thoughts and let me know what you think! 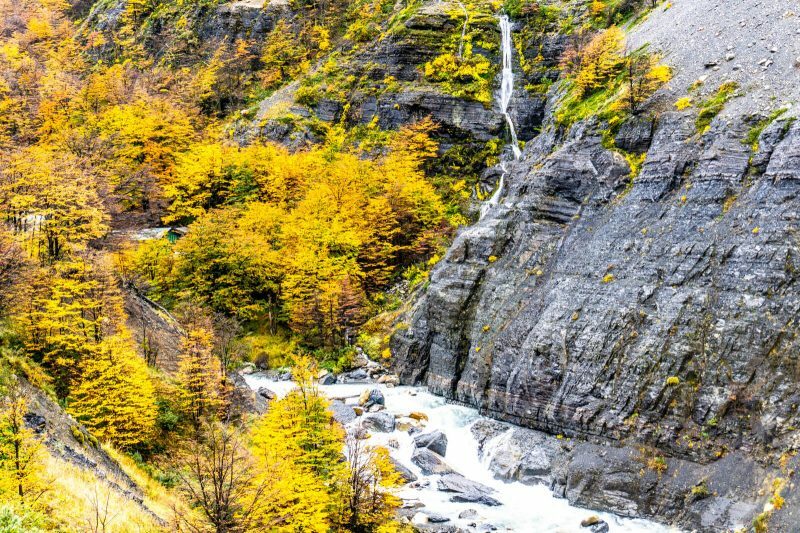 Disclaimer: This article was brought to you in collaboration with ChileTour Patagonia and Hotel Rey Don Felipe, all opinions are my own.